Move-In ready Smart Home! 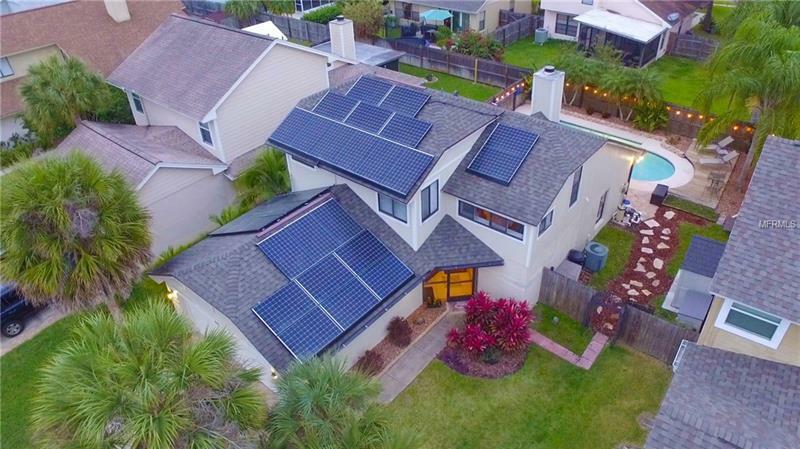 Stunning Home equipped with modern SMART TECHNOLOGIES, 20Yr Warrantied Tesla SolarCity 10.4kWh SOLAR PANEL System with your own PRIVATE BACKYARD POOL. Be ready to have an extremely low energy bill! New roof, new exterior and interior paint. Engineered Hardwood Flooring w/Membrane underneath on both levels and an Oak Hardwood stairwell. Walk-In Pantry. Publix, Starbucks, WAWA, Downtown Lake Mary and the NEW Griffin Park Plaza all within 3-8 minutes. Reach popular schools like Greenwood Lakes Middle, Lake Mary High, Seminole State Community College, and University of Central Florida all within 5 - 20 minutes. Most Appliances and some furnishings included; any item in the house is NEGOTIABLE. Get your offer in TODAY!